Three York Catholic students won Crime Stoppers of York Region’s annual poster contest; a clean sweep for the Board! The contest challenged students across York Region to design a poster themed on the idea to “Respect Yourself.” The “Respect Yourself” theme emphasizes the importance of fostering a positive and accepting school environment for all students. It also demonstrates that Crime Stoppers is a community organization that relies upon responsible individuals to help create an acceptable, safe and supportive learning environment for everyone. 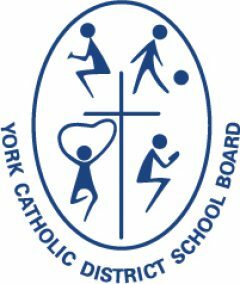 The students each won $250 for their winning creations and their posters will be printed and displayed in Catholic and public high schools across York Region. 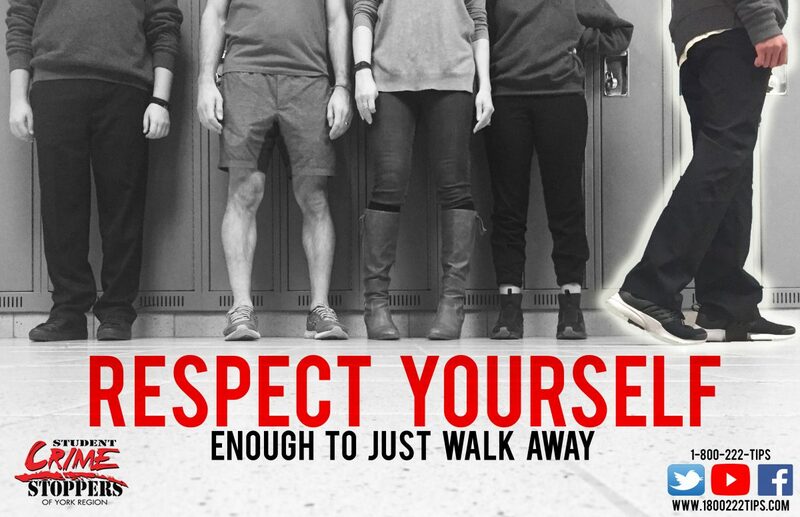 Rachel Gaspar designed the “Respect Yourself enough to just walk away” poster. Alesia Prosperi designed the “Respect Yourself enough to say that I deserve the very best” poster. Vivian Cheng designed the “Their words hurt. Respect Yourself, make the call” poster. Select students from high schools across York Region will also attend the 2018 Crime Stoppers School Symposium on November 15th at the Richmond Hill Centre for the Performing Arts. The symposium will include engaging guest speakers who will speak to students about significant challenges they have faced, resiliency, mental health, and inequality. View bios for guest speakers: Leo Barbe, Timea Nagy, and Jeremy Dias.